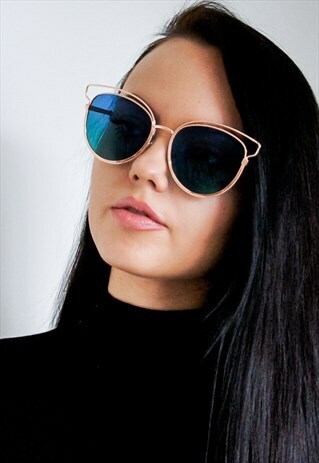 Blue and green ombre lens with gold frame Sunglasses UV400, designed in London and hand polished. These are brand new. Please do not hesitate to get in contact if you have any questions.